3. Now unpin your folded ends so the towel now lies flat. Sew the handles on. Do this to both ends of the towel. 6. Sew up both sides of the pocket. And you’re done! You’re really done! Here’s what your towel bag will look like when you lie it out upside down. To fold up your bag, just fold in both edges of the towel as shown in step 1, fold in half, and grab the handles, and go! 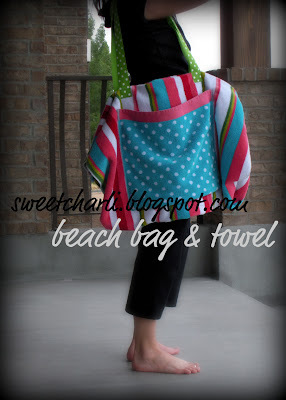 Enjoy your all-in-one beach towel tote! Kami, so so cute! 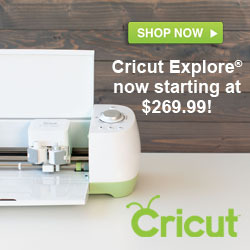 Wow you are really using that great sewing machine. Way to go for keeping busy, I’m proud of you!! What a cute summer tote. Congratulations on your CSI selection win! So cute! You are such a crafty girl. So cute and smart! I actually caught Studio 5 today! Great job. I didn’t realize that the hand towel one came with the ruffles on the towel. Good to know. I’m a lazy one! 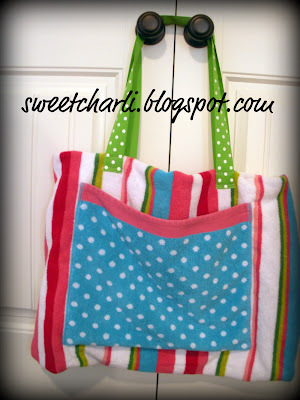 I made the beach towel bag… Not as cute as yours but it works! I know I’m a nerd! This is great! 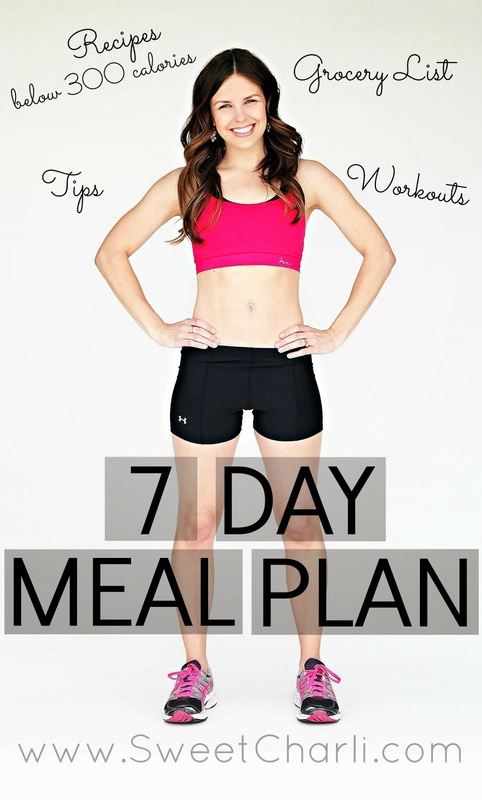 I will be featuring this on my blog. I love the bright colors! Pinned!